Supreme Court nominee Brett Kavanaugh is accused of sexually assaulting a woman when they were both in high school. 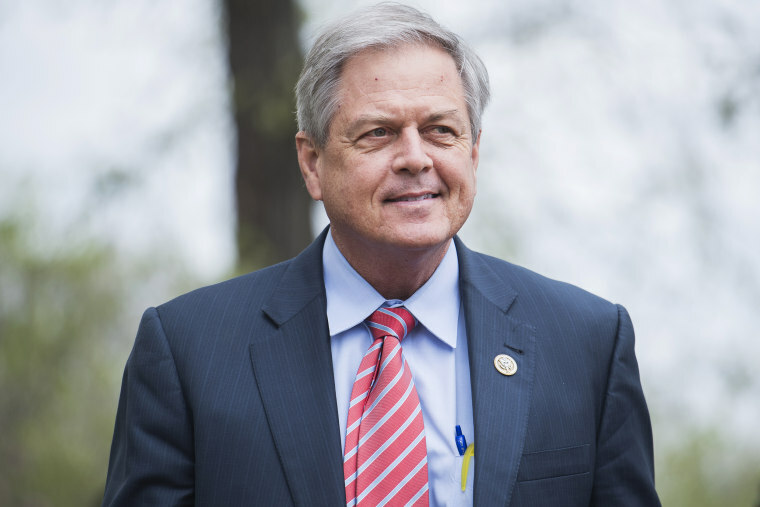 Rep. Ralph Norman, R-S.C., reportedly mocked the sexual assault allegation dogging Supreme Court nominee Brett Kavanaugh on Thursday, joking that Justice Ruth Bader Ginsburg recently accused Lincoln of groping her. "Did y’all hear this latest late-breaking news from the Kavanaugh hearings?" Norman said during his opening remarks at a debate Thursday against his Democratic challenger, according to The Post and Courier. "Ruth Bader Ginsburg came out that she was groped by Abraham Lincoln." The congressman made the joke after telling the crowd that he almost had to miss the debate and travel back to Washington to address the accusation. The off-color remark appeared to poke fun at Ginsburg's age — she is 85 — and the recent sexual assault allegations made against Kavanaugh by California professor Christine Blasey Ford. Ford alleges that Kavanaugh drunkenly tried to force himself on her while they were teenagers in Maryland in the 1980s. Kavanaugh has vehemently denied the allegation. The remark elicited "scattered nervous laughter" from the crowd, the paper reported. Norman is running for re-election against Democrat Archie Parnell, an attorney, to represent the state's 5th Congressional District. Parnell did not immediately address the remark on stage, the paper reported. But he rebuked his opponent in a statement to the paper after the debate. Local South Carolina Democrats also swiftly condemned the remarks. Jaime Harrison, the associate chairman of the Democratic National Committee, also condemned the remark. Norman's office did not immediately respond to a request for comment.